It's been quite awhile with doing some review! Work has been super crazy, so I haven't had too much time to actually sit down and do a through review on the products that I'm about to show you guys. 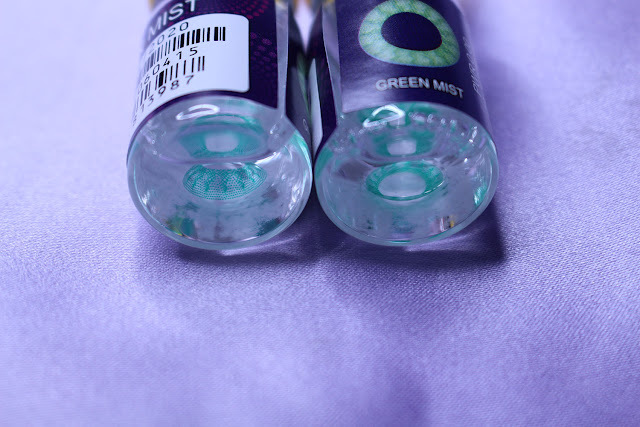 And to match that crazy color, a Phantasee Crazy Lens Green Mist. This is actually first time trying out Phantasee brand lenses. 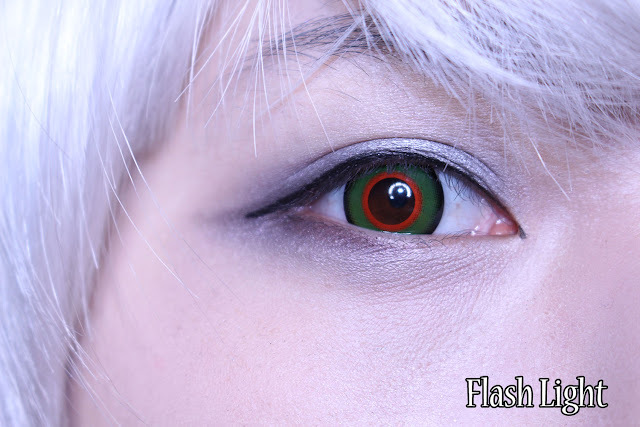 This brand actually specializes in crazy lenses which can be used for Halloween or Cosplays! 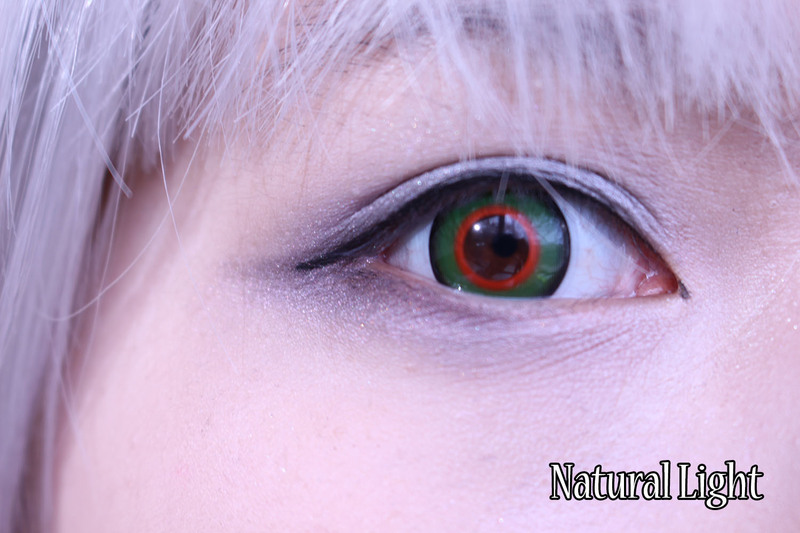 They are well know for their sclera lenses!! And I think cause of its thinness despite the fact how pigmented this lens is, it actually felt quite comfortable for my eyes. 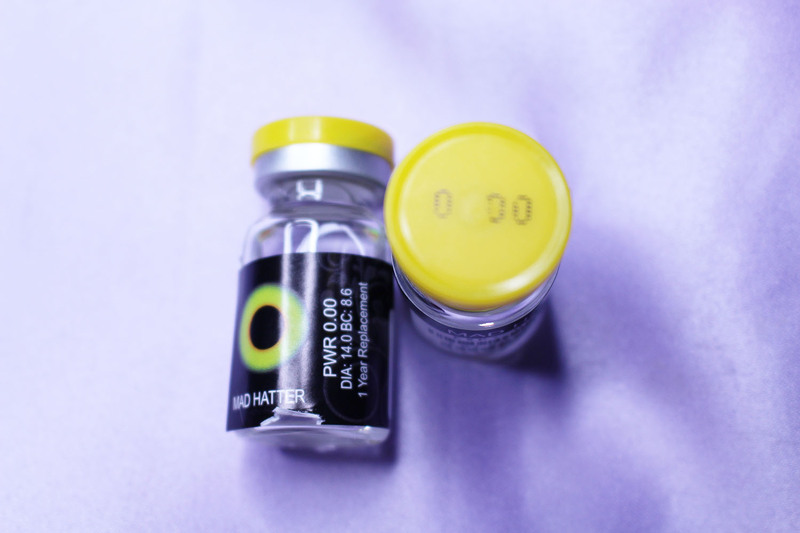 I barely felt that I was wearing a contact lens for more than 8 hours! 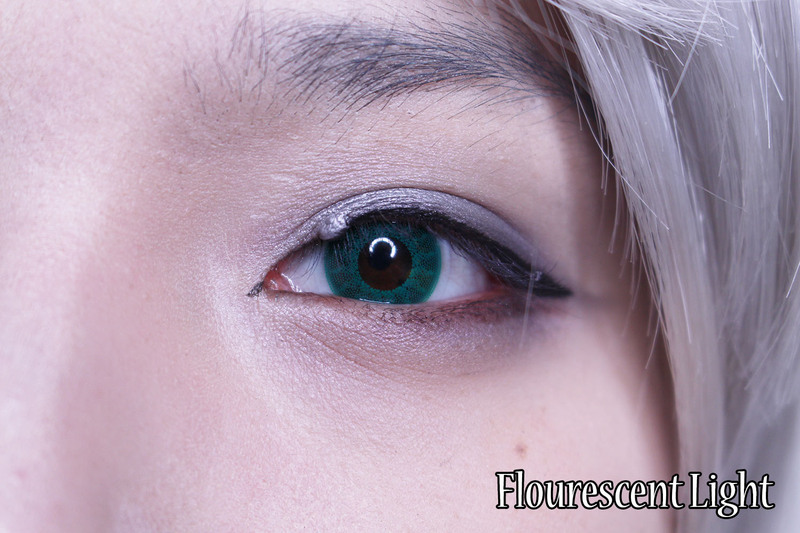 Colors, Now when I look at the lens itself, at first it appears to be that the inner prints of the circle lenses are quite much darker than the outer prints. However, when you actually put it on, outer parts becomes darker or could become lighter depends on what your natural eye color is, because it uses much smaller dots to create the outer rim area. 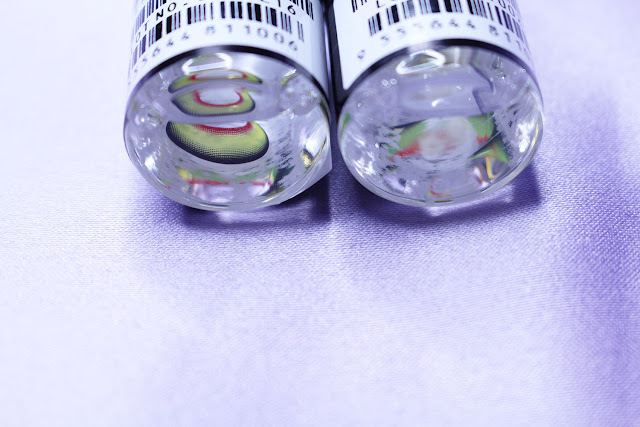 And inner parts uses bigger dots, which creates more lighter color and therefore, it becomes very nicely blended. 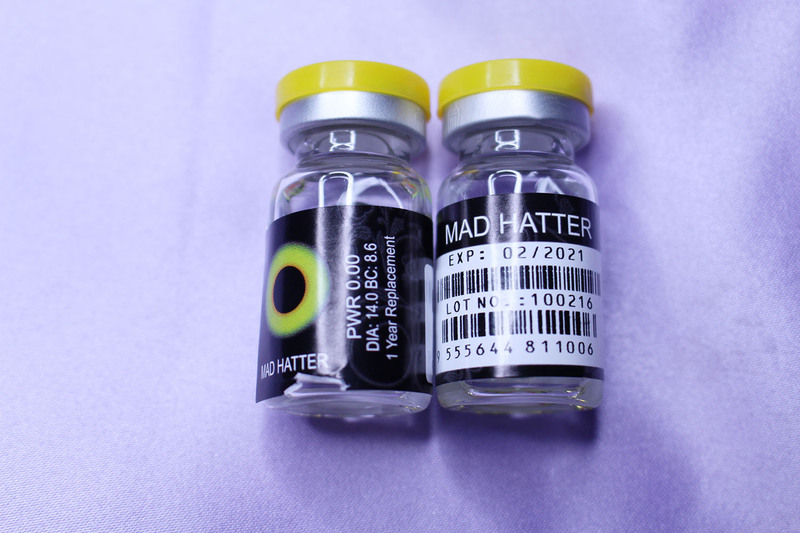 I mean considering it is one colored lens with two different printing technique, it is creating rather natural looking gradient effect. Design, To be honest I thought this lens would be more prominent in crazy design from the display picture that was shown on the Uniqso. So I was little bit worried that it was going to be too crazy for my work. However, unlike what I expected the lens was much of a natural design by using dot patterns. 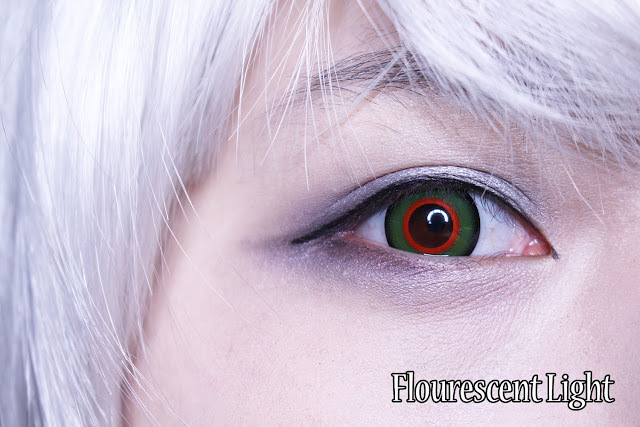 Enlargement, This is one of those circle lenses that does not comes with defined outer rims. It actually doesn't have any rims around it, and that is probably why it looks so natural. However, if you are one of those people who are wanting thick rim to create more anime like eyes, I don't think this would be suitable for you, cause it won't give much of enlargement effect. 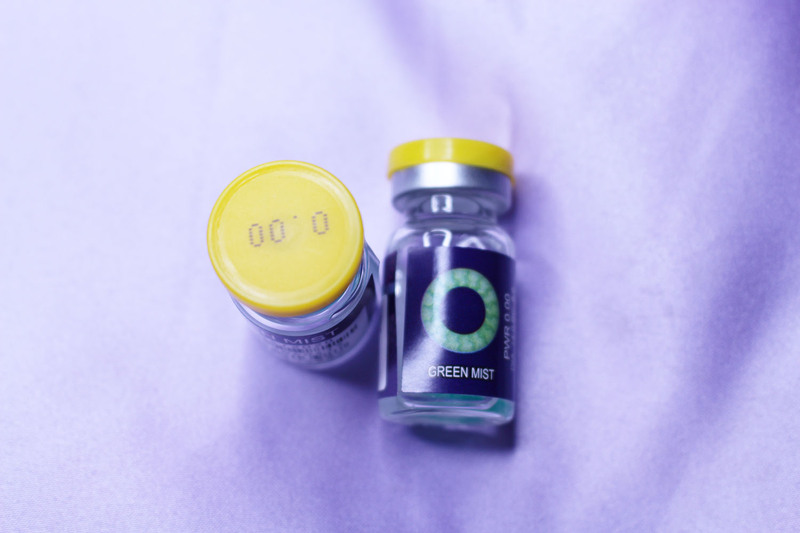 I have tried couple Colorvue lenses before, and I was quite satisfied with the way the colors shows up on my dark brown eye. 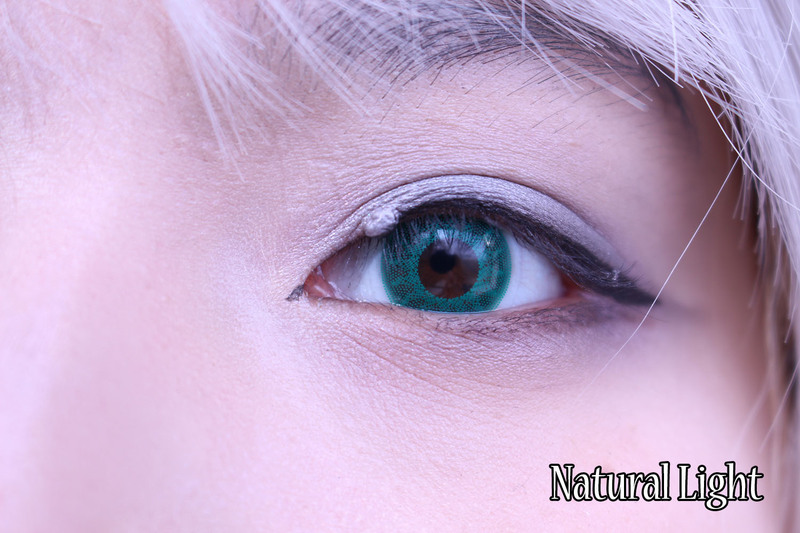 There's many different variety of colors and designs that you can try out, and yet still look quite natural from a far. 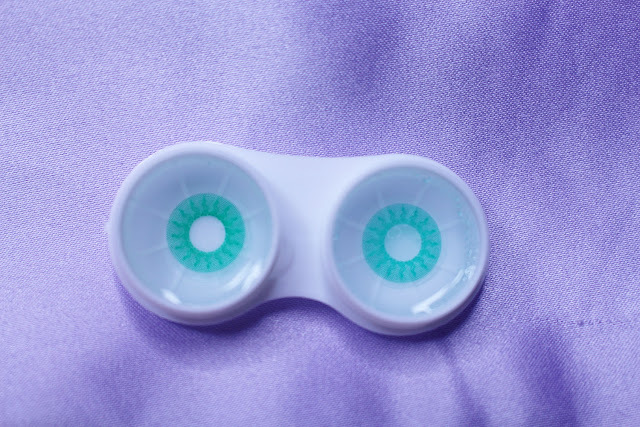 Comfort, Just like other Colorvue lenses that I have tried on previously, this lens actually felt quite suitable for my weird base curved eye. Even though this lens' material was slightly thicker than the Phantasee Green Mist, I actually liked it quite a lot, cause that made my right eye to be not irritated! Color, From looking at the lens itself, I was slightly afraid that the color was going to be too bright on my eyes. Cause it uses the solid print method, so I thought it was going to make my eyes to appear too scary. However, the prints are slightly opaque, which made my dark brown eye to even out the bright yellowish green color to more suitable green color. And yet brings out the red color quite well. I was very satisfied with the color more than I expected. 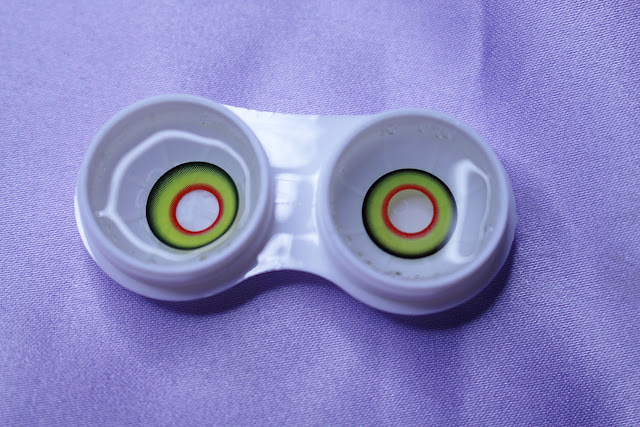 Design, This lens actually had quite simple design to it. It has bright red and yellowish green as the base colors, and have defined black rim on the outside. And by putting only slight red to the lens and gave more space around the pupil area, it actually gave slight dolly eye appearance! 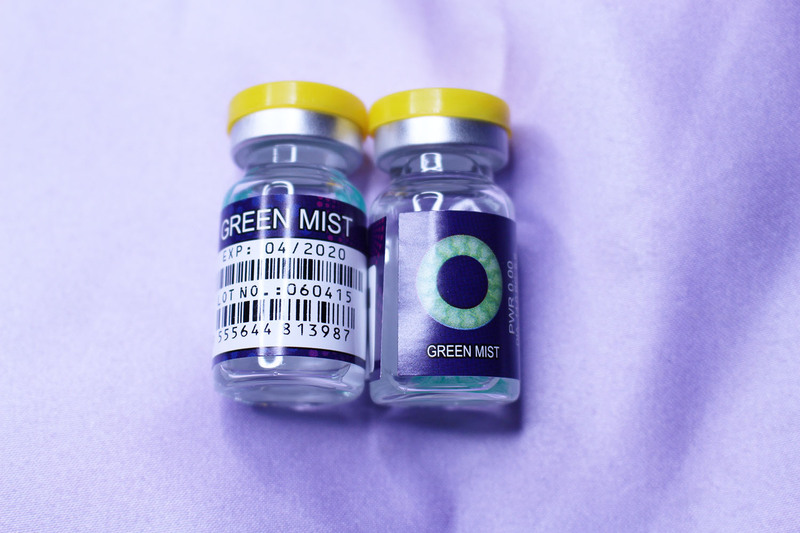 Enlargement, Even though this lens has same diameter as the Green Mist lens, by having that signature black rim around it, this lens gives the enlarging effect on my eye. I mean it is not to the point where there's too much difference in size on both eyes, but it does make more prominent. 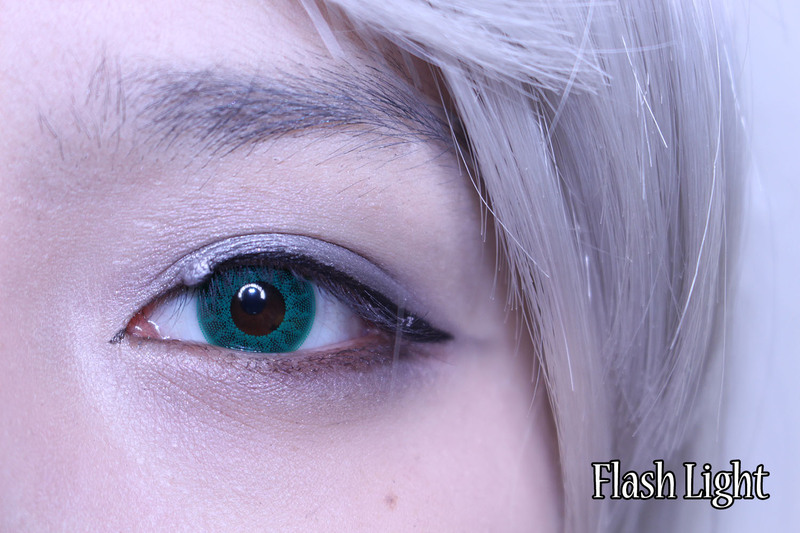 I was quite satisfied with the look that I was able to create with these two lenses. Even though it wasn't too crazy when people look at me, it was still something to make my Halloween look to stand out little bit. I had many people complimenting the lenses for sure, to give that final touch to the look!! Right now UNIQSO is having up to 50% Thanksgiving sales on and you can get many different brands in amazing price! The sale ends on 29th of this month, so be sure to check it out! And don't forget to get your 10% additional discount by using "khyunwal" as coupon code!